America’s oil boom, one of the most spectacular the world has witnessed, continues at breakneck speed. Last week the Bank of America released figures showing that the US has now become the world’s leading oil producer, overtaking both Saudi Arabia and Russia. Ways of extracting “tight” oil and gas from shale rock and other “unconventional” sources have revolutionised energy production and allowed the US to produce 11 million barrels of oil every day (mbd) in the first half of this year. Yet some experts are asking searching questions about America’s shale revolution. Since 2009, when America’s domestic production of oil and gas started to accelerate sharply, respected analysts like Arthur Berman, a Texas--based geologist and energy consultant, and David Hughes, a Canadian geoscientist, have claimed that the shale revolution is just a bubble. Now they are reiterating their warnings that this shale bubble could burst with devastating impact, forcing the US to rely, once again, on the Middle East while severely denting the drive for greener fuels. Through their sceptical eyes, it is the longevity of the American shale bonanza that is open to question. The International Energy Agency, an independent watchdog based in Paris, ventures some bold predictions, claiming that American oil output will continue to climb over the next few years, reaching a high in 2019 and then stabilising in the 2020s. The US will then remain the world’s leading oil producer, continue the IEA experts, until the early 2030s when other countries will overtake it. But its critics point out that such claims are not really predictions at all but mere conjecture. It is true that the story of American shale neatly illustrates how hard it is to predict the future of energy in particular. As recently as 2008, America’s dependency on foreign sources of oil was a very hot political topic in Washington. Our “addiction to oil”, as President George W Bush said in his 2006 State of the Union address, meant relying upon “unstable parts of the world”. Nobody foresaw how quickly and dramatically America’s energy fortunes would be transformed by the shale revolution. Sceptics point out that the future of America’s shale industry is equally hard to predict – or rather to guess. The US undoubtedly has huge shale reserves but it is impossible to be sure about their size. 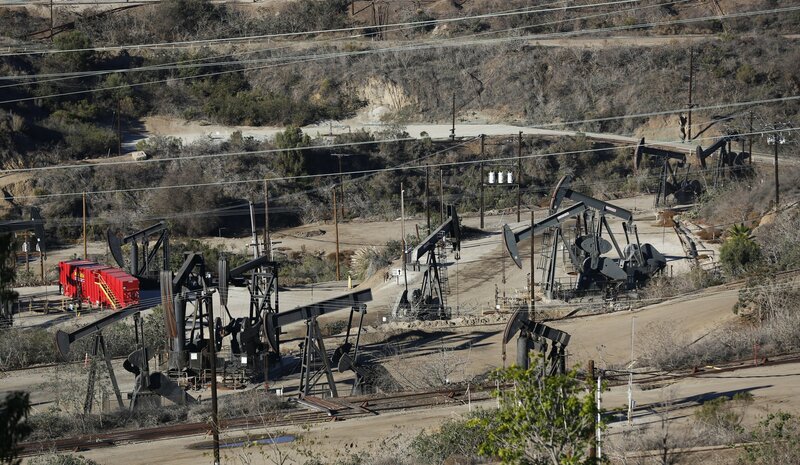 For example, in 2011 the Department of Energy published its findings about one of America’s Monterey Shale deposits in California – and claimed it harboured 15 billion barrels of recoverable oil reserves. But just a few weeks ago, the department released a radically revised figure, massively slashing its earlier forecast. Now Monterey was said to hold something closer to 600 million. Some experts think that even this much more modest estimate hugely inflates the true figure. More important than the sheer size of resources, however, is their commercial recoverability. The energy industry, not just shale in particular, is ultimately all about economics – at what point upfront costs can be recouped, profits reaped and risks rewarded. The shale revolution was born in 2008, when American oil production was a very modest 600,000 b/d. It was at this time that the technologies it depends upon became more affordable, and that the global price of oil was high enough to support the very high infrastructure and drilling costs involved. Fracking – the process of hydraulically fracturing shale rock to release oil and gas – is prohibitively expensive, and operators reply upon clear commercial margins to make it viable. At the moment, the global price of oil lies close to the breakeven cost that many American companies require. But some industry experts argue that if the price does fall below $90 a barrel – it is currently just over $100 – then the impact will be huge. “Much of the American shale industry could find itself in real trouble and shut down relatively quickly”, argues Professor Jonathan Stern of the Oxford Institute of Energy Studies. Even at the $100 figure some producers are reported to be struggling financially. The oil price could fall fast and perhaps far in all manner of circumstances. A Washington-Tehran rapprochement will bring, at some point, voluminous quantities of Iranian crude onto the global market; the Iraqi government might not only placate the country but also coax foreign companies with more generous terms; or a downturn in China would dampen demand. Even in their best-case scenario – of a high and climbing oil price – America’s shale producers will be pushed to maintain, or even imitate, the astonishing level of output of recent years. This is because a shale well has a very limited lifespan, of around seven or eight years on average. Its output plummets drastically after the first three years and then deteriorates steadily thereafter. By contrast a conventional oil field has a longevity that a shale well simply does not possess, producing crude at a level that wanes slowly over years or decades: Saudi’s massive Ghawar field, for example, began production in 1951 and is still pumping out around 5 million barrels every day. The IEA itself points out that the US shale industry will need to bring 2,500 wells into service every year to sustain the output – of one million barrels every day – from just one of its main reserves, located in North Dakota. Some of these wells may also require more investment than their predecessors: “a rising percentage of supplies .?.?. require a higher breakeven price”, as the IEA has said in a separate report, “may be in sight”. Critics like Berman and Hughes conclude that the US needs to hedge its bets and ensure that it can cope when, as they claim it will, the shale phenomenon retreats and disappoints. If this happens, then America could continue to be afflicted, as before, by burgeoning domestic demand for both oil and gas. Tens, perhaps hundreds, of thousands of jobs would be lost and the economy would be highly vulnerable to price spikes. The US would, once again, become dependent on foreign suppliers, particularly the Middle Eastern exporters that offer long term, plentiful sources. Such sceptics point to another adverse -consequence. Because the US is currently relying too much on shale, they argue, it is failing to address the fundamentals that underwrite the energy market – supply and demand. Washington should be finding ways of sponsoring fuel efficiency in the United States – for example by subsidising the use of less gluttonous cars: in 2013, the American public consumed only 6% less gasoline than in 2007, when domestic intake hit an all-time high. Equally, they say that more emphasis needs to be placed upon developing a generation of greener, cleaner fuels – solar power and fuel cell technology for example – than both oil and -natural gas. In their eyes, one danger of the shale revolution is that it makes this seem less of a priority – on economic as well as environmental grounds – than it should be. Shale, in other words, is making American complacent about the need to find alternative fuels that can sustain the future, delaying the moment when they could be introduced. Only time will tell if they are right and the shale revolution will end up in disaster.